Welcome back to my blog and welcome to Blogmas day 2! Today's post is about little gifts for her and tips on how to find the perfect gift for her. Most of the gifts are based on what majority of woman like or might be interested in and I'll try to direct some of my ideas towards different types of people! Socks. If you are in doubt, socks. She'll love cute socks with cute animals on, she'll love fluffy socks, she'll love plain socks. Majority of the girls that I know, say that they would like socks for Christmas. And there is no such thing as having too many socks! Candles. Most girls I know love candles. Hell, even I've jumped on the candle wagon! I think any girl will love you if you got her candles. There is much simplicity in this gift. I think they are so calming and the amount of scents you can get these days is unbelievable! A book lover will always appreciate a good book for Christmas. Find out her favourite genre and take a gander in that section. If you're buying for your daughter, perhaps a Kindle because she has no more room on her bookshelf! If she's a make-up lover, find out her favourite products or take note on those subtle tweets of "in love with this Urban Decay palette!" Take note on recurring shade groups in her lipstick collection. Even if you feel like she has 20 reds already and won't need another, she probably will need an extra red- find a different shade of red. Also, nail polish is always a good call. No doubt that she is a Disney lover like myself. So find something Disney, or know what her favourite Disney movie is and get something related to that. Pj's or something. Just like socks, you can't have too many P'js, especially if they are Disney! And I guarantee that she lives in Pj's if she's staying in so it's the perfect gift! 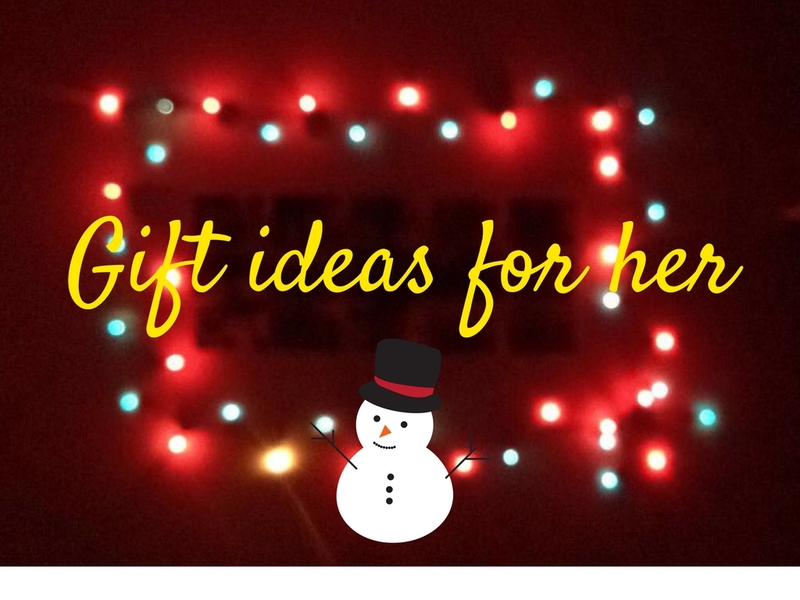 So, there are a few idea's on what to get your friend, girlfriend or daughter for Christmas! Hope you found some inspiration on what to get her. All writing is my own. All views are honest and genuine.. Powered by Blogger.